In this question type minimum 4 and maximum 6 answer choices can be given for each question. candidate has to choose minimum two correct answer. 1. Entering a new question : To enter a new question select "Multiple Choice Multiple Answer" under "Choose Question Type" and click on "Add New/Insert". 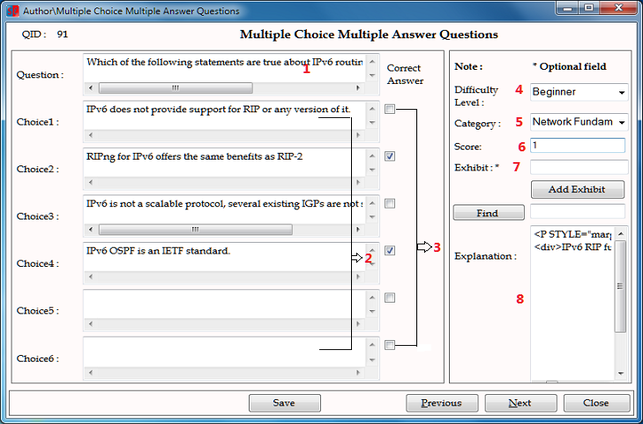 Correct Answer : Each choice (answer option) is provided with a check box field which can be checked to mark that choice as correct answer for the question. This question type must have minimum two correct choice (answer). 2. 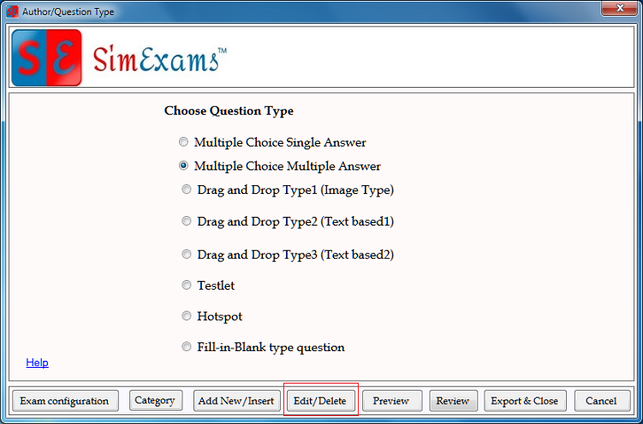 Edit an existing question : To edit an existing question select "Multiple Choice Multiple Answer" under "Choose Question Type" and click on "Edit/Delete".